I.T. 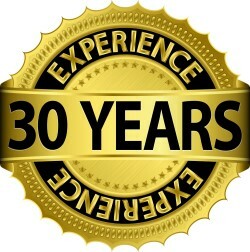 Insiders, a full-service IT solutions company serving businesses in New Hampshire and Massachusetts, announced that August 2013 marks their 30th year in business. I.T. Insiders was founded in 1983, just one year after the introduction of the original IBM personal computer. The company originally focused on hardware and software sales, but quickly evolved to offer IT services designed to help businesses get the most out of their technology investments. Today, I.T. Insiders offer a range of advanced solutions, including remote network monitoring, security services, disaster recovery and standard ongoing maintenance, installation and upgrades. I.T. Insiders is also warranty authorized to provide computer and printer repair for manufacturers like HP, Lenovo and Toshiba, and offers a walk-in PC repair department. These services were developed to answer the unique needs of small and medium-sized businesses, and are focused on bringing customers a real return on IT investment, along with increased productivity. I.T. Insiders is also proud to have been selected as a vendor for the State of New Hampshire PC contracts and has since been successful in each renewal bid process for over 15 years. They look forward to continuing to provide excellent service to local schools and state agencies. “Today, our team of experts boast a wealth of IT knowledge, working with our customers as an extension of their businesses. We strive to make sure our customers completely understand the solutions they’re investing in so they can get the most out of those investments,” said Zia Khadaroo, the company’s president. I.T. Insiders is your IT partner on the inside. We design and implement solutions that are developed for your specific business needs, and then monitor and maintain your systems to ensure maximum uptime. We are focused on delivering intelligent IT solutions and services that make your life easier and allow you to focus on running your business. I.T. Insiders has been providing Microsoft network services for businesses in the Nashua, Merrimack, Amherst and Bedford, N.H. areas and northern Massachusetts since 1983. Please call us at 603-889-7625 or visit www.itinh.com to find out more.